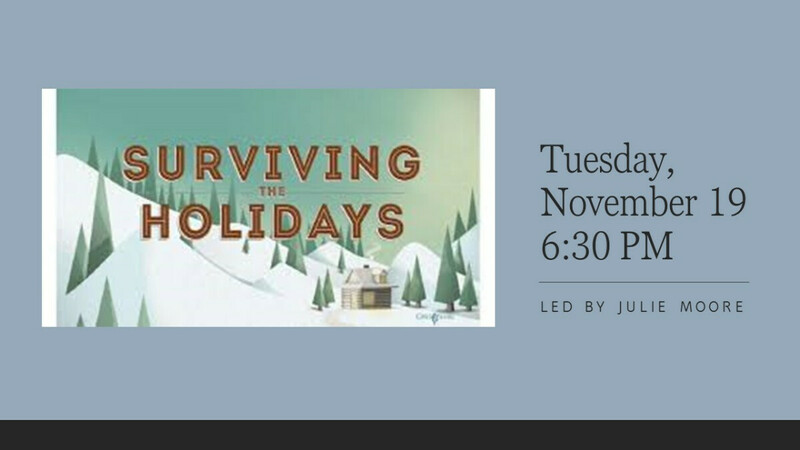 This powerful session will provide help for those dealing with grief and loss by providing coping skills for the holidays. Do you know someone who could benefit from this seminar? Sign up in Life Groups.